Romania’s Blue Air-led consortium has been declared as the successful bidder in the tender for the acquisition of Moldova’s debt-ridden national carrier Air Moldova, the airline’s current owner Public Property Agency has revealed. The winning consortium, known as the Civil Aviation Group, was reportedly the only bidder for the struggling airline and is now due to pay off 1.2 billion leu (€61 million), of which only 50 million leu (€2.56 million) will go to the country’s state budget, with the remainder being the airline’s debt obligations. The Civil Aviation Group, which was registered in Moldova a month ago by Blue Air – Romania’s largest carrier – owns 49 per cent of the project, with two private Moldovan investors in Sergey Melnik and Anrey Yanovich, each holding 25.5 per cent of the consortium. Melnik is also a president of the US-registered consulting company Wolf Blitz, and Yanovich is a co-owner of Georgian cargo carrier AMS Airlines Air Charter. 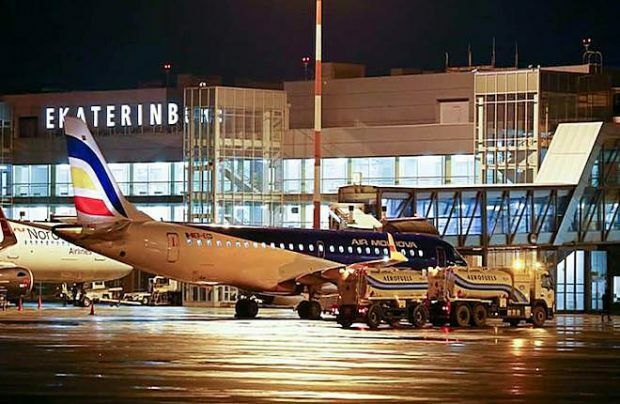 The new owner is committed to solving the debt-stricken airline’s operating and development challenges, including the rejuvenation of Air Moldova’s infrastructure, the expansion of its network, boosting traffic with the renewal and enlargement of its fleet, and adding staff,” the Public Property Agency’s document reads. The fleet strategy envisages the gradual doubling of the fleet from the current seven aircraft to 14 by 2021, preserving the existing aircraft types of Airbus A319 and A320s and Embraer E190s. This strategy will also require the hiring of additional flight and cabin crews. In this scenario, the number of pilots and flight attendants will reach 380 from the current 180. “One of the buyer’s key goals is to extend Air Moldova’s reach, while at the same time securing the position of Air Moldova in its existing market by offering flexible prices and improved levels of service,” the company says. The privatisation of Moldova’s flag carrier has been dictated primarily by the government’s wish to rescue it from bankruptcy. In recent years, the airline’s financial performance has showed a continuous decline, registering 190.4 million leu losses in 2017. In the first half of 2018, the company’s debts amounted to 1.283 billion leu. Blue Air is Romania’s hybrid carrier, which was founded in 2004. Its main hub is at Bucharest’s Otopeni International Airport, with smaller operational facilities located at the seven European airports of Bacau, Cluj-Napoca, Constanta, Lasi, Larnaca, Liverpool and Turin. The carrier currently operates a fleet of 30 Boeing 737-family aircraft, which fly internationally to western European destinations. Blue Air also operates charter flights on behalf of leading tour operators to holiday destinations throughout Europe, mainly within the Mediterranean region. The acquisition of the Moldovan carrier by a company from neighbouring Romania appears to be a logical move, as both countries enjoy many historical cultural and business links.